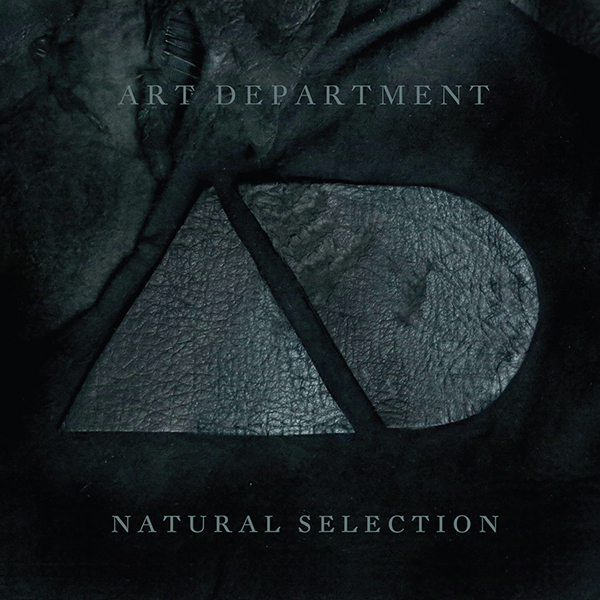 Art Department, one of electronic music’s most recognizable dance outfits announce the release of their eagerly awaited second studio album, “Natural Selection”, releasing through No.19 Music this November. Jonny White, acting head of No.19 Music and Canadian techno legend, Kenny Glasgow make up the infamous duo known as Art Department, a collaborative project that has seen almost unparalleled success within the world of dance music in recent years. In 2010 the pair transcended genre barriers and paved the way for countless artists with their first single - “Without You” which was awarded Resident Advisor's “Track of the Year” and #1 track of the year at the 2011 Beatport awards paving their way to a level of success rarely achieved by underground artists. Their critically acclaimed debut album, “The Drawing Board” released on the prestigious Crosstown Rebels label; gave birth to a new sound that had drawn on the best cues from both artists. The LP was cited as an “underground masterpiece” and credited with changing the musical landscape of the electronic underworld reaching #2 on iTunes and awarded “Best Electronic Album” of 2011. In 2012 they reached yet another milestone when the duo were welcome guests on the legendary BBC Radio 1 Essential Mix and at the BBC’s hallowed Maida Vale studios shortly before Vibe Magazine ranked them #2 DJ/Producers in the world, second only to Daft Punk, firmly establishing them as a rare thing in the world of electronic music. “Natural Selection” sees Art Department expand upon their previous release, building a deeper and more mature and experimental sound that unravels through the duo’s trademark murderous basslines, raw textures, expert production and distinctively melancholy vocals of Kenny Glasgow that have made them one of the most prolific writing/production teams in the industry . Berlin based house producer, Aquarius Heaven and the infamous Seth Troxler, both partake with original vocal contributions in the form of "Kisses For Roses" and "Cruel Intentions" and blend effortlessly into Art Department’s brooding, alternate reality. “Natural Selection” represents the music, the story and Art Department’s evolution from the projects inception until now, alongside Kenny and Johnny’s personal journeys as individuals. Strewn with themes that centre on the cyclical idiosyncrasy of ‘natural selection’, Art Department explore a defined narrative throughout the LP; feelings of spiritual awakening and tranquillity, indecision and turmoil tell a story in which the beginning could in fact be the end. “Natural Selection” is a diverse album in which Johnny and Kenny’s inherently seamless production is in-fact a prerequisite to their existence. Art Department’s winter world tour celebrates the release of “Natural Selection” and will see the duo take their immersive DJ performances to the world’s most esteemed venues, festivals and No.19 Music label showcases around the globe from this month until early 2015. Art Department have been installed as residents at CircoLoco, at arguably the most revered club on earth - DC-10 (Ibiza) since 2010 and have performed at legendary venues and trendsetting festivals worldwide, including Panorama Bar (Berlin), Fabric (UK), Warung (Brazil), Output (NY), Ultra Music Festival (Miami), Lollapalooza (Chicago), Tomorrowland (Belgium), BPM (Mexico), Burning Man (Black Rock), Coachella (California) to name just a few. The Natural Selection Tour will include some of these legendary venues as well as Art Department favourites and a series of intimate listening parties hosted by Art Department themselves. Phrases such as "long awaited" or "much anticipated" are often taken lightly but rarely are these words ever as true as in this instance, as hundreds of thousands of die-hard fans anticipate the release of an artist LP that follows a truly classic, debut album that was so undeniably important to a modern day music movement.